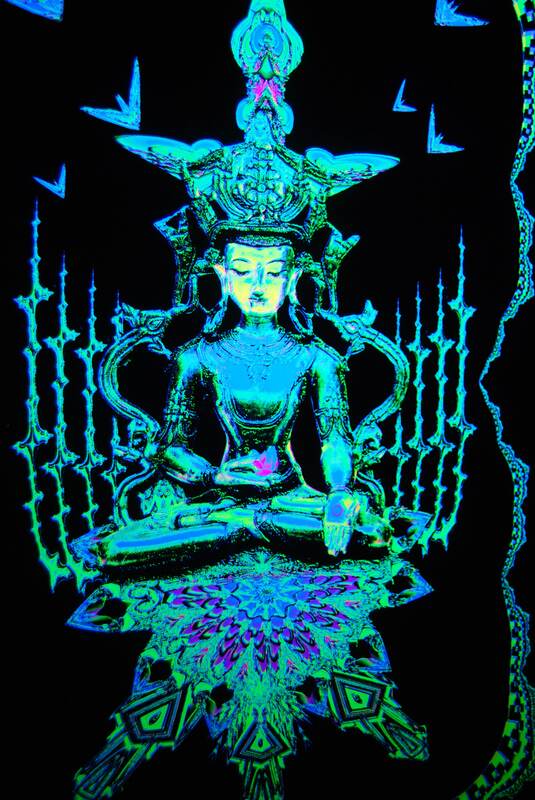 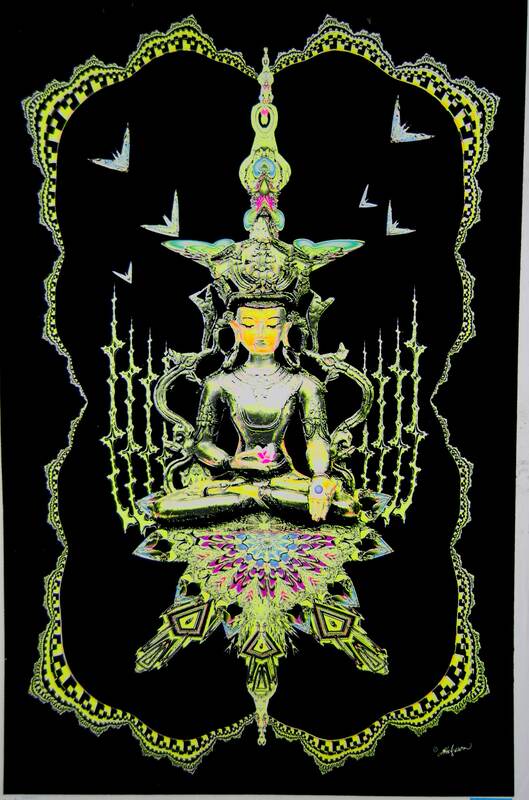 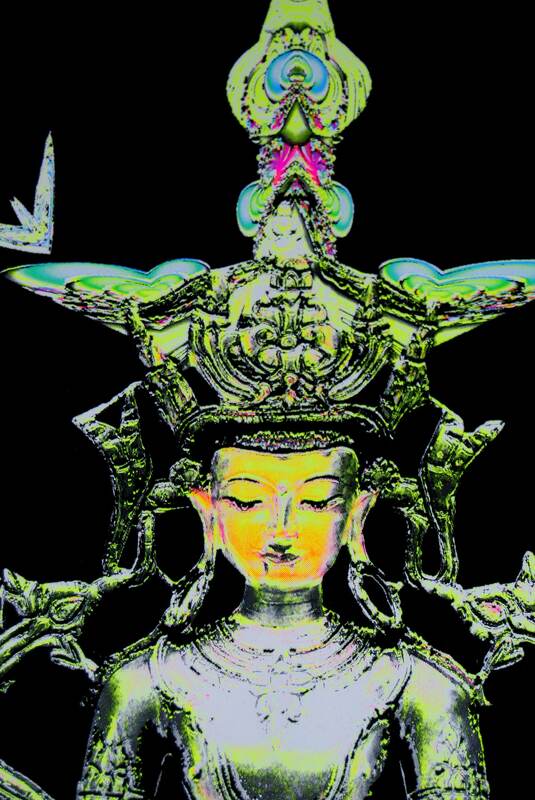 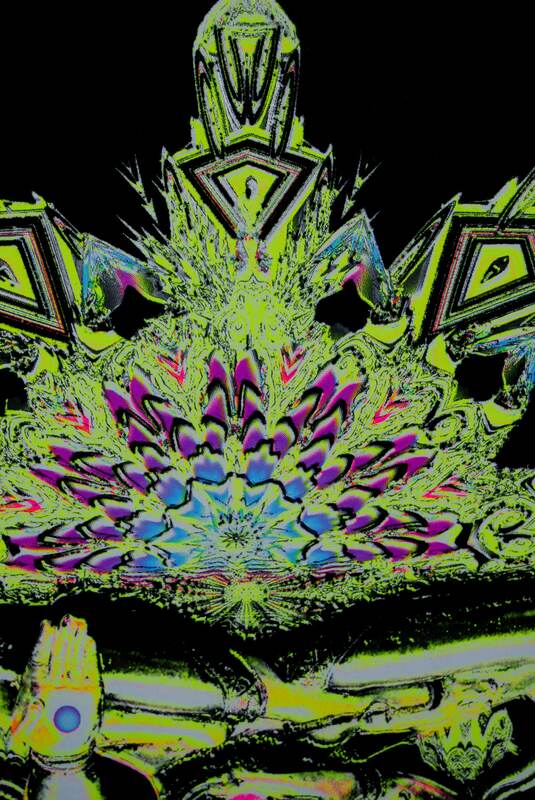 This is UV Blacklight poster with the name Buddah Fractal Spirit. 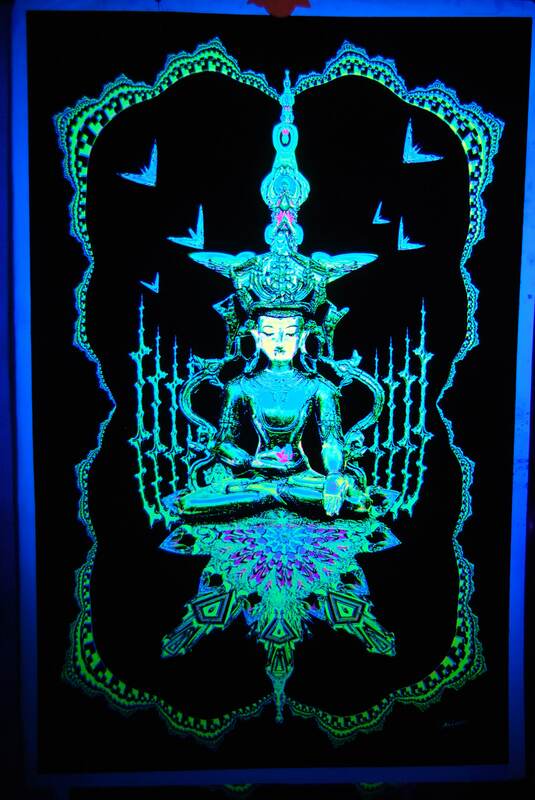 It looks nice in daylight and it glow in blacklight. 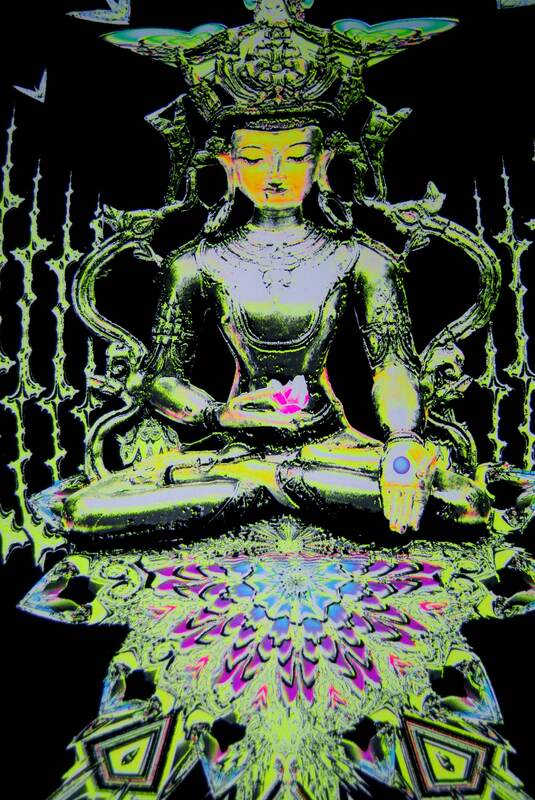 The black feels soft.